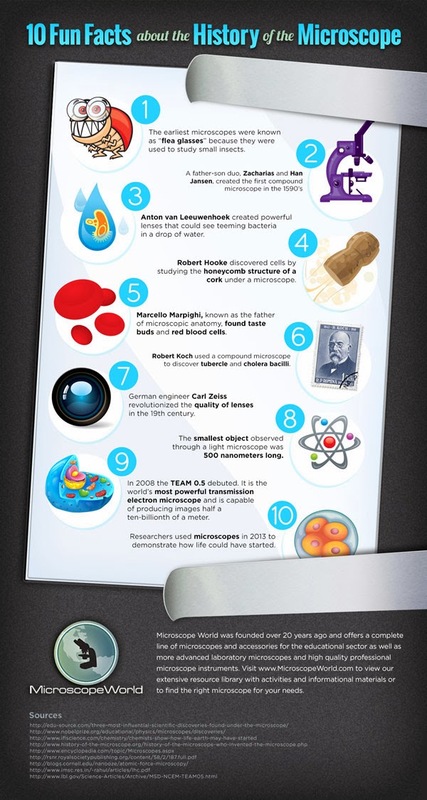 Download this fun and FREE infographic on 10 fun facts on the history of the microscope here. Perfect for schools, at home, or for use with a science project. Download your FREE copy of these fun facts here!